How can a simple intersecting thought make a huge difference in someone's life? I don't suppose you ever prayed to God asking for something and felt He never heard you? You wonder did I do something to deserve this hardship? What can I do to get God's favor? Why isn't God responding? How often have you had an intersecting thought about someone? What I mean by that is, have you been driving down the road and someone's name pops in to your head? You thought to yourself, maybe I ought to call them. So you do and you find out they really needed to hear what you had to say. Maybe you've been on the receiving end. You find yourself kind of in the dumps, something is going wrong at work and then next you know, a friend is texting or emailing and says just the right thing at just the right time. Do you know someone who has a need? Maybe physical who could use some help around the home or have some errands you could do? What about emotional needs - your neighbor, a friend or maybe even some one from your workplace or church might be experiencing some loneliness. A simple little visit could meet that need. Or maybe there's someone you know who is out of work and has been struggling to make ends meet. I'm pretty sure that there is at least one person you know who fits one of these descriptions? Has God ever placed them on your heart? Have you responded to that voice? When was the last time you stepped out and up to help them out? God many times speaks to Ken and I through intersecting thoughts. To be honest, this is where most of the ministry we do each day begins. I believe God speaks to you this way too. Often we dismiss these thoughts as our own and therefore we don't take any action. The problem with that is that there are hundreds of thousands (probably more like millions) of people praying and crying out to God in need. These people whether followers of Christ or not have been told that we if we pray to God, He will hear our prayers and answer them. The Bible says God will provide all of our needs (Phil 4:19). When we fail to respond to that small still voice, we are allowing critical needs of others to go unmet. We must choose to first trust what we hear and be obedient to it. The Word is pretty clear. If we truly are followers of Christ, we will do more for others than we will ever do for self. If we are not doing things for others, not having pity or helping someone in need, then are we true followers of Jesus Christ? If we don't have the love of God in us, are we still just living in the flesh and not by the Spirit? Faith = knowing the love of Jesus! We read the Bible but do we actually believe it? Faith in God means ACTION! We need to act on those intersecting thoughts (whether you believe they are from God or not). We need to act on the needs we see with our own two eyes. You won't have to look to far to see a need and I bet there's something you cold do to help ease their burden. I want to share a story in the bible that makes it pretty clear what God thinks about meeting the needs of others or not. It's always a choice! Do you want to hear these words at the end of your life? I sure don't and I wouldn't want to risk my eternal destiny? How about you? If you have money in a bank account, a retirement account or food in your pantry, you have more than most do in this world. Are you willing to give some of that up to help another or do you feel entitled to hang on to it for the future? What you sow, you will reap. Do you believe that? Ken and I have been living off of savings for quite some time. We are thankful we had it. However, God has stretched those dollars way beyond what they should have lasted in the natural. Why? Because every time He tells us to give beyond our tithe, we do. Is it scary, sometimes. Sure, but God has been faithful to show His care for us. Recently someone made a financial donation to us and the very next day the Lord asked us to treat this family of 7 to lunch. We could of ignored the voice because we have real need right now, but we didn't. God gave back to us immediately. A need came up for us this past week and God stepped right up and met that need exceedingly more than we could of imagined. I challenge you to tune into God's voice starting now! Pay attention to that intersecting thought. Ask Him who He wants you to bless each day, then go do it! When you bless others, you yourself will be blessed even more! Luke 6:38. Don't let that be your motivation but know that it's a spiritual law! Do you want the Lord to see you as a faithful and radical Christian, a person after His own heart? Then simply choose to live each day of your life looking for ways to bless others and step out in obedience! A love offerings will be taken. Your trusted source for preparedness education and products. Never before a hands-on preparedness training like this one. We are excited to let you know that ARK Int'l is now a member of the National Association for Search and Rescue (NASAR). We can currently accept a limited number of individuals to be added to the ARK roster for our Search and Rescue (SAR) team. This membership entitles you to discounts at the NASAR bookstore and special discount pricing on courses and exams through NASAR. This is a nationally recognized certification. We currently have the opportunity to join in on a SARTECH II exam, June 22-24 in Olathe, Kansas. These exams do not come this close to home very often, so if you are at all interested in being on ARK's SAR team, seriously consider jumping in on this. This exam is an intermediate level course. Persons taking this exam will need to study the SARTECH II book, Fundamentals of Search and Rescue. You should also have a basic knowledge of navigation, compass and survival skills, or have experience with EMS and the Incident Command System. We have ordered 6 copies of Fundamentals of Search and Rescue. Three are still available for purchase at $38.00 ea. (includes shipping). Cost to take the SARTECH II exam next month, and be added to the NASAR roster through ARK Int'l is $125.00. You will also need to complete ARK Int'l level 1 training within the next 4 months to remain on the roster and before participating in a deployment with ARK. See requirements here. Contact Janet at janet@arkintl.net for questions or to register. ARK Orientation and PREP 1 Training. ARK Orientation is an overview of who we are, what we do, how it works and how you can be involed. ARK Orientation is FREE and required to deploy with us. PREP 1 covers Theology of Crisis- The Biblical foundations of why we prepare and why we respond. We also introduce the basics of preparing for a short term emergency. We will cover steps you need to take to keep you, your family and home safe in an emergency. We will talk about the 8 essentials of sheltering in place, as well as "Go Bags" and evacuating. This training will equip you to deal with the mental, emotional and spiritual issues most people encounter in times of disaster, including trauma, learning debriefing techniques and much more. All participants will receive a certificate of completion in CISM (Critical Incident Stress Management/Critical Incident Stress Debriefing) through Living Solutions Counseling Center. This training is recommended for those16 years of age and above. This course will prepare you to take the test for the Technicians level HAM Radio license. Please register early to have adequate time to get the study materials and prepare for the class. This does require home study. Go to www.arkintl.net to register for training. On Mother's Day, the Lord had me post about a few things He was speaking to us and when I did, I heard Him whisper Happy Mothers Day. Is God calling Ken and I to adopt 5 Peruvian children? We submit this to you. What do you think? We are not running over to Peru and adopting the first 5 children we see. If we are to adopt God will orchestrate the details. We have open hearts and open hands for whatever God may want to do. We just want to get your opinion based on what God has been doing. Here is what has been said or happening. Not sure of the dates - but a friend of mine, Jeanie Windes has had multiple dreams seeing me with a little girl in our house. The first one she didn't even know me and asked if I had children? The Lord often speaks through her through dreams. October 2011 - Joni Ames shares with us the Lord showed her God was giving us 4 children. Not spiritual children, not by childbirth but just 4 children. January 2012 - The Lord sends Ken and I to Peru! Our time there was preaching and ministering at a couple churches and on tv and radio. However, I did fall in love with a little girl (I posted on previously). Getting our feet wet in Peru??? February 2012 - James Horan who we went to Peru with said the Lord showed him he was to pass the "reigns" to us in Peru. And God spoke to both Ken and I many times about returning to Peru. Confirmation! The sense was that Ken and I would travel back and forth to Peru for up to 18 months? Why? Only God knows! April 2012 - We watch a movie "Change of Plans" - all about a couple who gets left with 4 children when a friend of theirs dies. This is the first time I think about what Joni said last year. I ask Ken, do you think God is going to give us 4 children? May 2012 - God has me order the book "No longer a slumbdog" by Gospel of Asia. As I'm reading it, I am crying over these poor children and I set the book down and say to God "If you want us to have children, I am willing to have as many as you want us to have". I can't believe I actually prayed that to God, but I did, and I meant it. May 2012 - Joni Ames is back in town and she again ministers to us and she tells us the Lord told her we were going to Peru because we were going to bring back 5 children! (Ok, the anty is up - is it because I told God I would take as many as He wanted us to have?). May 2012 - The Lord leads us to visit a church. Let me just say, we've heard about this church for some time, but it's only in the past 30 days that we sense the Lord saying go! So we go and the pastor talks about how he and his wife have adopted 2 children from Ethiopia. Coincidence? Then we look at the bulletin and notice a paragraph that this church provides "grant" money for those interested in adopting children from overseas. Hmmm? What I see is that there's a church who wholeheartedly believes in international adoption and missions who could be a huge lifeline for us. May 2012 - Another friend of mine sends me an email address for her sisters friend who works in Peru. I send this lady an email telling her briefly what we "think" we are going to do when we return to Peru (adopting was not mentioned in this email) and she immediately responds. She goes on to say that her and her husband went to Peru with the intent of adopting 1 or 2 children and the Lord surprised them with 5 siblings. Not only did they adopt, but they felt led to stay and start an orphanage! Yes, you heard me, an orphanage! Oh and did you catch the number of kids they got? Again coincidence? May 2012 - Our devotional magazine from Charles Stanley Ministries - for a week talked about raising kids the godly way! Advice well taken and agreed on! May 2012 - Go to coffee shop and there's a moving style van in parking lot and it says this "Seeing through your children's lives". Hmmmmm??? May 2012 - We have a small group and a new lady came to the group (we know her). She was just hearing about all of this adoption stuff when she went on to share with us that she had a dream a couple nights before.....her dream was that we got a new puppy (oh yea!!)... but when the puppy turned around and looked at her it became a little boy! She said the little boy was just perfect! May 2012 - I go to the pharmacy to pick up a prescription. I had to wait for a few minutes and while I was waiting, I felt drawn to a book that was sitting on the counter. It is called Tuesday's Grace! Can you guess what it is about? I of course bought the book and have read more than half. Ok, just in case you can't figure it out, it's all about a family's triumphs and struggles in adopting two children. Seriously! (and Praise God - my health is being restored to the extent, I am able to read again without brain fog setting in). May 2012 - Another friend of mine, Dan Stalp, had told me a few weeks ago, that he was led to get me a book called "God Pocket" by Bruce Wilkinson. It's all about spontaneous giving. So you ask, how does this relate? Well the book comes in to my friend and with it came a DVD. They said this is a free gift you get because you ordered this book. The name of the DVD was Answer the Cry/Faces of Hope from Cry of the Orphan Ministries. Interesting???? May 2012 - I felt the Lord told us to print and complete an application for adoption in Peru. He said He would tell us when to submit. We need clarity on where? I think that's it for the obvious hints! Is that enough? I'm sure there will be much much more, but I wanted to get it all out before I forgot anything. Well, we definitely need your prayers! Looking at several international adoption sites we are finding that they want both parents working full time? How does that work when God just asked us to step out into full-time ministry with no income? I have submitted this question to one of the adoption agencies recommended by Robyn in Peru and am awaiting reply. The timing of all this is interesting....first of all notice how much God has revealed just this month! I believe He is expediting the process! But that's just my opinion. I also find it interesting, that my sense was that we would go back and forth to Peru and be there for up to 2 months at a time. (before we even realized this adoption thing) and that is what most of the websites say to adopt - that the new parents would need to travel back and forth and be in Peru for 4-8 weeks at a time and this whole process can take up to 18 months. The other thing relating to timing is this, the beginning of June, we are completely out of resources. God has been doing a great work in us. If you remember, it was just last September that God sprung on us a missions trip to Peru. We never imagined we would go on one. And for those who read this blog up to, during that time and after the trip know that was probably the hardest thing I ever experienced. If you haven't read the blog, you might even go back to those September through early January. I can't say that I'm past my fears and still out of my comfort zones going back again, but I do know that God has given us vision and purpose. When you have those, you know God is in it! We are excited to be welcomed back by the church, tv and radio station and look forward to ministering there as well! God is good! God continues to whisper to us to stand on His promises and know that we can trust Him in all things! We thank God daily for the friends He surrounds us with to walk life out with! We thank you too... you know who you are! I assume I will blog more on this subject. I pray that you will be blessed and encouraged as things unfold according to God's will! I end with a quote that I absolutely love! I shared this one time in a speech I gave. I didn't realize then how true it is! "I am a little pencil in the hand of a writing God, who is sending a love letter to the world!" A Shift Is Coming - A New Normal? A few things you can do to make a difference! A shift is coming... will there be a new normal? For the past several years, anyone who watches the news or is in tune to God's voice, realizes we are in perilous times. Our economy is on the verge of collapse, our government is doing some crazy things and well life as we know it is changing. Our freedoms are being stripped away little by little, in reality they have been stripped a lot farther than you even know. The Lord has been revealing to me and countless others for years that things are changing in America. Life as we know it, is changing and will be, beyond our recognition. We might just have to adjust to a new normal? 1 Cor 13:9 says we know in part and we prophesy in part. I cannot tell you exactly what is coming, but the Lord spoke to me that a "shift" is coming to the earth, more specifically to America. I believe He told me that things are going to happen suddenly, one thing after another. My sense is things are happening soon. I heard the song "People Get Ready" http://www.youtube.com/watch?v=5sc1z9arhe0. This song kept playing over and over in my head. Now I don't know or think that Jesus is coming back now (based on the song), I just sensed it was a play on words that we are too take God's warnings serious. He also said that there are many who are in denial and many will be caught off guard. Some things will be scary but take heart, He says. God has raised up people who "are" prepared. For those who are, you will reap a great harvest. He says "you are ready". He says call forth those things that are not as though they are and they will come into being (Rom 4:17). Not name it claim it kind of calling forth but call forth those things in which He has personally promised you! Stand on them, believe and you will receive! The Lord further said the enemy cannot steal from us (or this country) any longer but first we must draw a line in the sand. We have to decide which side we are on. God vs Devil. Approximately 80% of America says they are "Christians." Who are they fooling? Not God! We cannot say we follow Christ and continue to follow the way and values of the world. We are to be set apart! The things we say, the things we do, the way we dress, the way we act are to be different then the world! 1 Peter 1:16 since it is written, "You shall be holy, for I am holy." We have been desensitized to holy living! 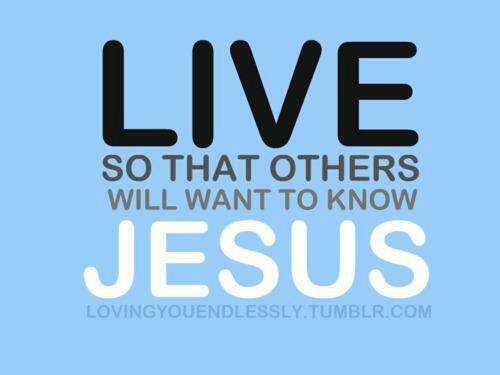 Our lives should be a living sacrifice to the one true God of Jesus Christ and to live for Him and serving others! Instead, we have chosen to live life for ourselves, our children, our desires! The time is now to choose God vs Devil! Which side are you on? I've been meditating in Isaiah 54 for a week or so and the Holy Spirit highlighted some key verses that apply to the times coming! Verse 9-10 Just as I swore in the time of Noah that I would never again let a flood cover the earth, so now I swear that I will never again be angry and punish you. We need to understand that what is coming is NOT God's judgement on us! It may be consequences for the sins we have committed individually and as a nation but know that you know it is NOT God's judgement. God is not angry at us - He just cannot tolerate sin! We can humble ourselves before the Lord and ask God to reveal how we need to repent and then do it! Repent means turn and run the other way! When we all choose to do this, God will heal our land - 2 Chron 7:14. Verse 10 For the mountains may move and the hills disappear, but even then my faithful love for you will remain. My covenant of blessing will never be broken, says the Lord, who has mercy on you. We must remember that nothing we can do or say will ever separate us from the love of God! His love is everlasting and He is faithful. He has a covenant on us and this nation of blessing! We must do our part so He can fulfill His part! Sin separates us!!! 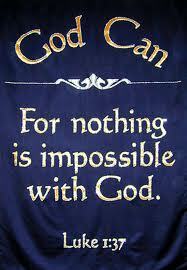 First, we need to know and believe that GOD IS IN CONTROL. He is on the throne and nothing that happens doesn't get by Him. Matthew 6:33 Seek ye the Kingdom of God first and His righteousness and all things will be added unto you. Next, we need to seek His face and repent for the part we have played in our nations chaos! Third, we need to choose to spend each day in the Word of God and allow the Holy Spirit to change our behaviors and actions. Rom 12:2 Do not be conformed to this world, but be transformed by the renewal of your mind, that by testing you may discern what is the will of God, what is good and acceptable and perfect. You've heard the saying GIGO - Garbage In, Garbage Out! Fill your mind on things that are good and pleasing to the Lord! Last but definitely not least - we need to submit, surrender and sacrifice our every day lives to the Lord Jesus Christ. We must serve Him and love others! 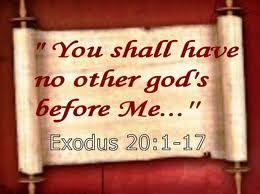 This is the greatest commandment of all! I end with a couple quotes! ARK Orientation is an overview of who we are, what we do, how it works and how you can be involved. ARK Orientation is FREE. Disaster is happening all around us. Now is the time to get ready to serve in the modern day mission field of crisis. Come find out how you can be part of what God is doing through ARK and get prepared to be part of the solution. Thanks to all who stopped by our booth at the Truman Heritage Festival. We had a great time visiting with each of you! Our Background check system IS NOW fully automated. Go to the RESPOND page on our website or go here to get started. You can support ARK by shopping at Your Safety Place for preparedness and safety products. Use the link on our homepage or go here and enter code ARK20. Your Safety Place donates $.05 to ARK for every dollar you spend. You can also give to ARK monthly by going to the subscribe link on our home page. Please help us get the word out by forwarding this message to your friends and encouraging them to get trained now. Together we can help prepare our city to be a shelter in the storm. We appreciate you! 5 Kids??? Us?$%(*&#$ That is the question!